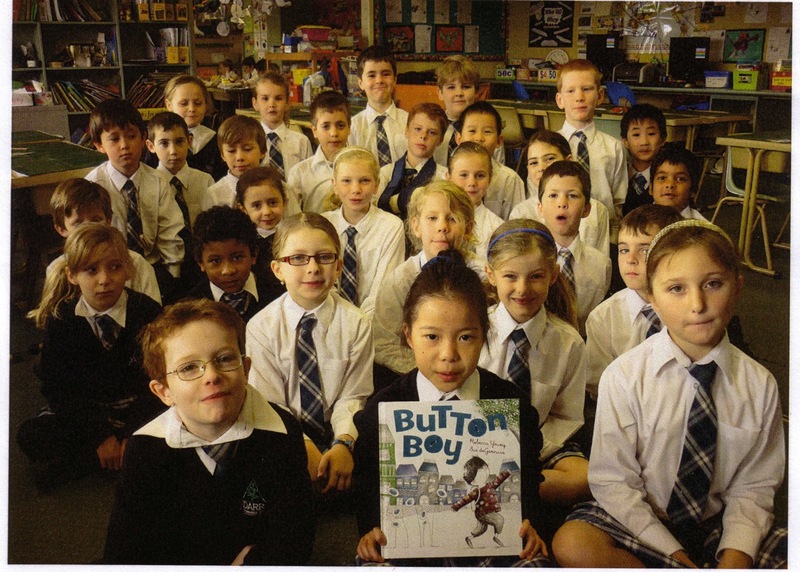 The book Button Boy was written and illustrated by Rebecca Young and Sue deGennaro. Button Boy is a fabulous book because it is about being helpful. Button Boy is about a little boy called Banjo who loves to collect buttons. His grandma sews the buttons onto his jumper. Every day when he’s on his way to school he finds someone who has a missing button and he gives them one. Finally, he has only one button left. Banjo is a kind and giving boy. We like the book because the pictures are very funny. The best thing about Button Boy is that the main character is a kind little boy. People who like collecting things would like this book. It would be good for boys or girls aged 5 to 8. You should go and get this book now! It is great. * Year 2 at Yidarra Catholic Primary School is a member of our Undercover Readers Club. A review copy of Button Boy was provided by the publisher.